When punk was the thing in Holland, I was 18. I was old enough to understand what it meant, but I was way too naïve. I liked the music, the magazines and the dress codes, but the ideologies that some punk bands expressed went way over my empty head. 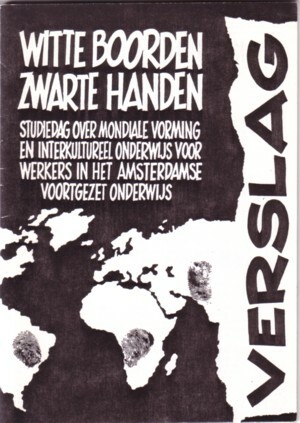 I did a lot of artwork for idealistic organisations in those days: posters, illustrations, logo’s, etcetera. But I was not very idealistic myself. I am far more idealistic now than I was back then. 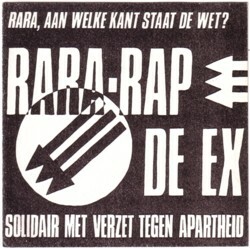 I had a large collection of Dutch punk music, especially cassette tapes and 45’s. I have given it all away long before it became collectible, and I am happy with that situation. The idea that these records and tapes are now worth a lot of money is ridiculous! On almost every record was the text ”Don’t pay more for this record than whateverthepricewas!” . I have changed very much in the thirty years that passed since those early punk years. At least, that is what I may hope. But the world has changed much much more!